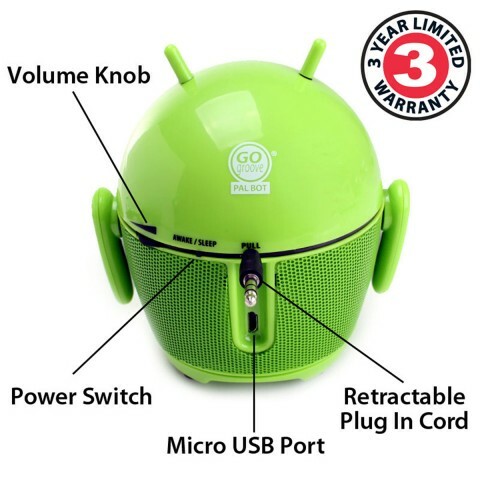 The first GOgroove Pal was inspired from an actual close encounter with an alien from another world. It asked for our best technology so we gave it a smartphone. 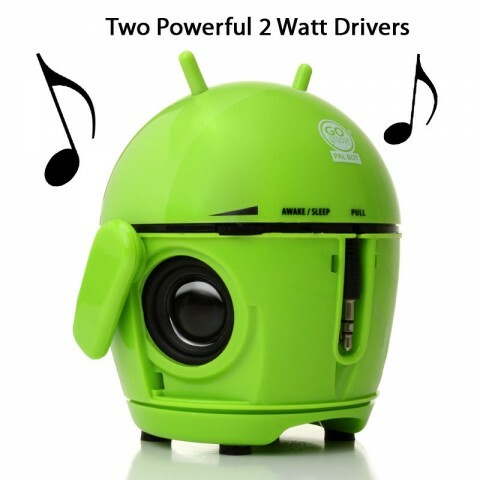 It immediately began to emit music from its head. 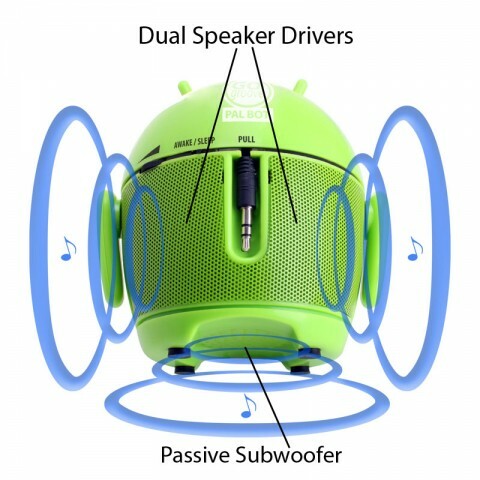 Featuring Dual Side-Firing Drivers & a Passive Subwoofer, the Pal Bot can deliver rich and powerful audio for a premium listening experience. 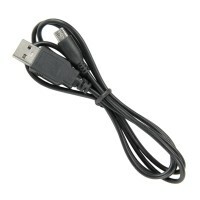 He also comes equipped with a rechargeable battery that lasts up to 6 hours at max output. 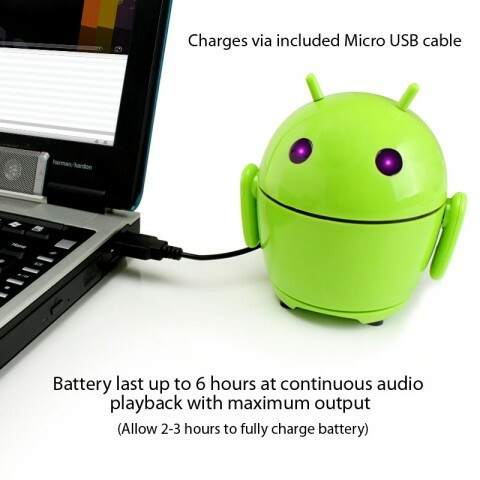 Allow the Pal Bot 2-3 hours to fully charge via the included Micro-USB cable, or play while you charge! 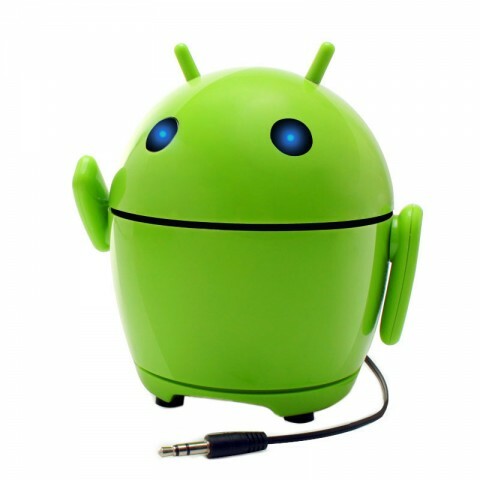 Pal Bot is equipped with movable arms, glowing LED eyes, and a retractable 3.5mm audio cord that can be used with any device with a 3.5mm audio port. His eyes glow blue when he’s awake and purple when he’s asleep and charging. 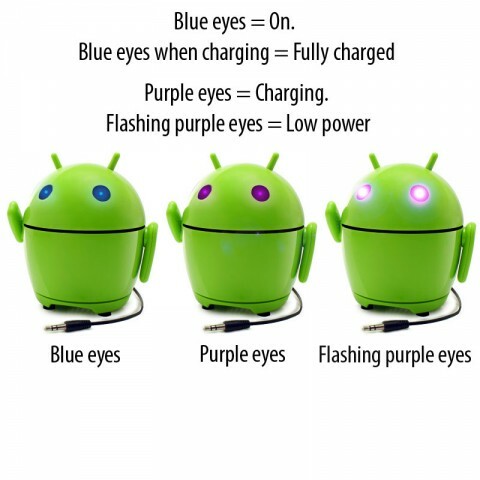 If his purple eyes are flashing, it means he’s tired and needs to recharge. 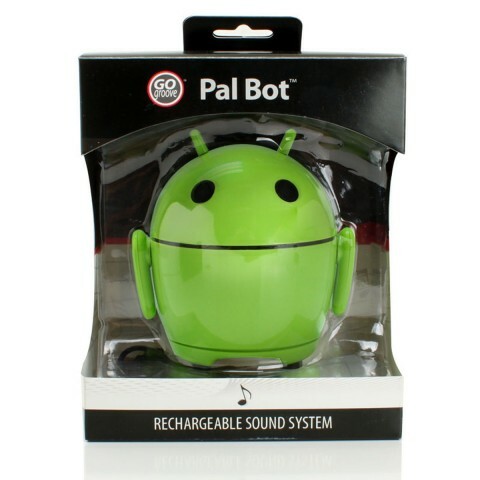 The Pal Bot weighs less than 1 lb and fits in your palm so you can take him anywhere! 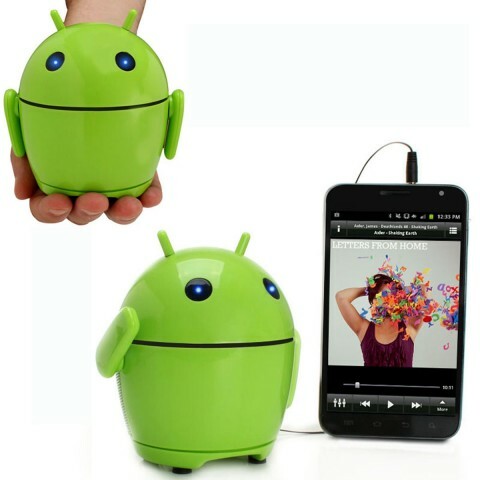 With his compact size, you can store him in bags, luggage, and more.